The time has arrived for not only the famous Laurenzo Family legacy restaurant but for all the anxious people of the Bay Area. Without a doubt, this is one of the finest designed restaurants in the area. It is not just a first-class establishment but a “World Class” establishment. El Tiempo Cantina was created with passion, a real piece of art showcasing a family’s rich history. The designer paid incredible attention to the smallest detail. President and Executive Chef Domenic Laurenzo says, “The atmosphere is unique and I have come to call it “Romantic Industrial Hacienda.” This elegant restaurant hacienda style setting is like entering one of Mexico’s finest resorts with beautiful tropical plants that line the walkway entrance. Once you pass through the large wrought iron doors, you are pleasantly greeted by smiling Senoritas in authentic colorful Mexican attire. To your left, you will see their proud “Edmundo Sun Room” named in honor of Rocco, Domenic’s loving brother who recently passed away this past October, who Domenic privately dedicated the new restaurant to. Then there is a private dining area behind two large wooden doors. The left side of the Cantina is dedicated to the rich history of Mama Ninfa’s legacy. El Tiempo’s Bar area is simply magnificent. It features a fully stocked bar with a large variety of Top Shelf Tequilas and a bar area that seats more than 70 people. La Cueva (cave) area’s décor is spectacular with large wooden tables that are cut from large trees that are hundreds of years old. There are also beautifully carved wooden horses from Mexico and the center area reminds you of Traditional Romantic Mexico with large deep red curtains. 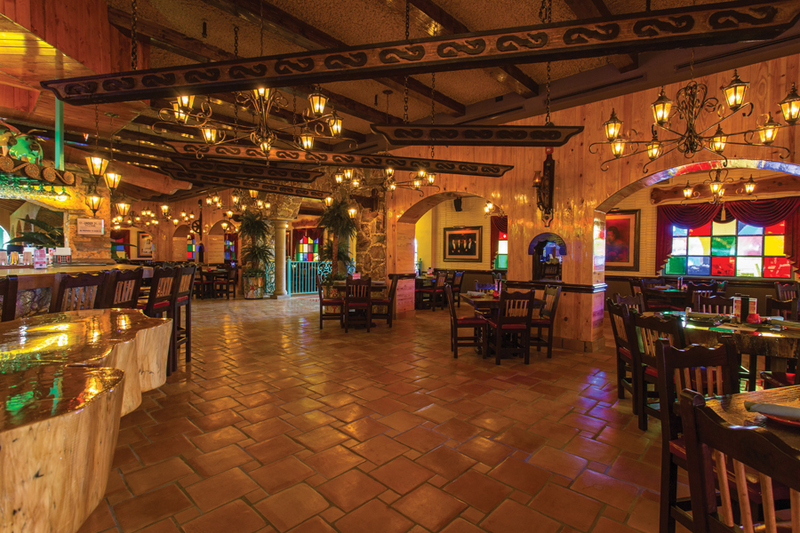 El Tiempo Cantina’s main dining area is created in the Mexican Old West Ranchero Style with tropical plants galore. Then, adjacent to the dining area, there are two indoor/outdoor patio areas. One has a fountain, and the other is beautifully decorated with plants. You then can exit the back of the Cantina to a large patio area covered with a palapa style structure for shade and comfort where you can eat and drink. In front of the Cantina you will find a quaint intimate eight small table setting with a covered fountain patio to enjoy a chilled margarita with your favorite person. 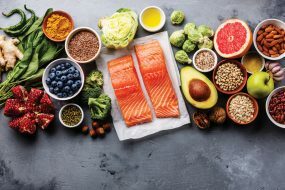 El Tiempo’s concept was the brain child of restaurant mavens, Roland Laurenzo, Domenic’s father and Domenic himself, along with their dear cousin Antonio Martinez in Monterrey, Mexico, who was instrumental helping the Laurenzo’s name their new concept. The word ‘tiempo” is very endearing to the Laurenzo family and close to their hearts. It represents a history that has come full circle starting with the Rio Grande Tortilla Factory and onward to Ninfa’s, Atchafalaya, Bambolinos, Laurenzo’s Italian Grille, Dom Burger, etc… and now the El Tiempo Cantina Era. 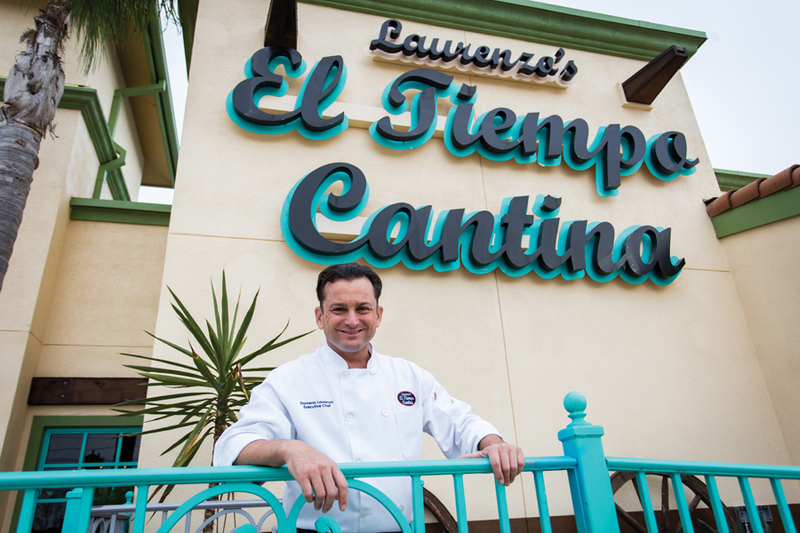 Domenic says the El Tiempo Cantina represents the many successes the Laurenzo Family has had, as well as the bittersweet times they have endured over several decades. The food and drink at El Tiempo is indescribably better than good. 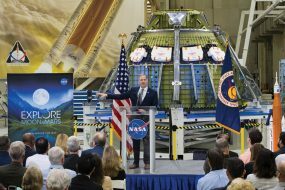 It is affordable for families, and families are welcomed. They serve only the highest quality of food and drink and always focused delivering great service with a smile. The chefs also cater to the gourmand (the discriminating diner) for the ultimate dining experience. El Tiempo Cantina is perfect for family gatherings, parties, special occasion events and corporate entertaining. There is something for everyone and they specialize in large groups and catering. El Tiempo’s dishes are all made from scratch daily in the tradition that Domenic’s grandmother taught him. The chefs and cooks use only the finest ingredients, cuts of meat and seafood. Their Beef Fajitas are the highest quality outside skirt available, which is the most tender and most flavorful. El Tiempo Cantina is known for its large menu with incredible variety and value built into it. Appetizers, soups, salads, Tex-Mex combination plates, seafood, mixed grill combinations, enchiladas, desserts and so much more. There are plenty of gluten free and vegetarian options too. Their signature and most popular dishes include the deluxe and regular mixed grills served on a unique little stove called an “anafre,” which keeps your food hot while you are enjoying it. 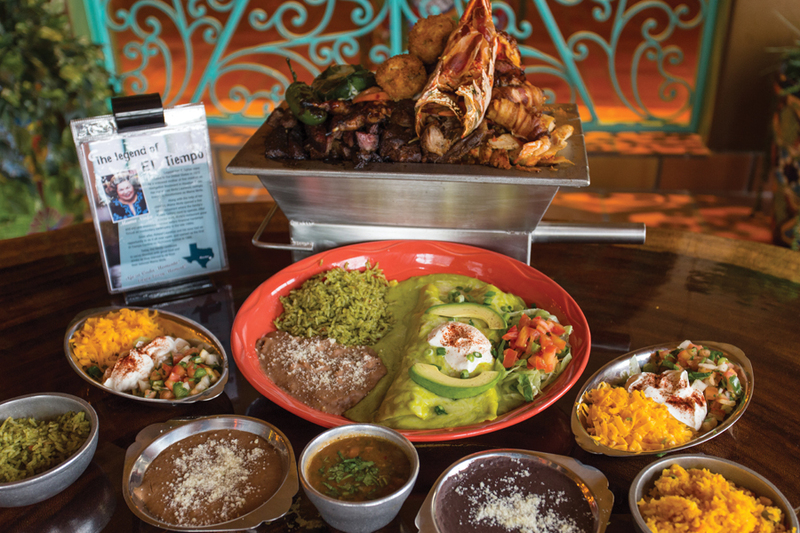 The deluxe mixed grill includes a tantalizing large spicy lobster tail, tender beef and chicken fajitas, quail, baby back ribs, bacon-wrapped shrimp, diablo spicy shrimp, carnitas, jalapeno sausage, roasted jalapeno peppers, cheese stuffed Poblano pepper, caramelized onions, house made lemon garlic & endless amount of flour or corn tortillas. It is also served with fresh made twice refried beans, rice, salsa, guacamole, cheese and real sour cream. It is to die for! Delish! Other signature entrees include their Jumbo Lump Crab Nachos and Jumbo Lump Crab Enchiladas. Their Enchiladas are not only delicious but huge. Their handmade Award-Winning Margaritas are a must! They have a secret recipe made by one person for all their restaurants – Pedro! The Laurenzo Family is very generous not only in their generous portions of food but in their giving back to local community. 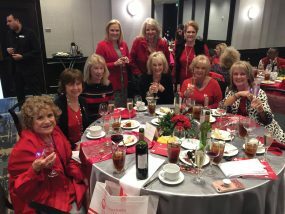 They serve on local boards and contribute to many worthy causes. President Domenic Laurenzo is a family man married to his beautiful and supportive wife Ofelia. They have 5 children. Ninfa 13, Sophia 11, Esmeralda 11, Roland 7 and Domenic 2. Domenic’s hobbies include golf, cooking and spending time with his wife and family. Laurenzo would first like to thank his entire supportive hardworking family. With a special thanks to his father, Roland, who is his best friend, as well as his loving kind mother Blanca. He also appreciates the support he received from Webster city officials and the entire Bay Area community. “Without the dedication of our managers such as Albert Cardenas, Alex Rodriguez, Juan Morales, Jorge Mora, Monica Ayala, Heriberto Benitez, Dillan Graham, Melissa Garza, Juan Arellano, Jairo Zapata, Fidel Flores, Arturo Cornejo Matt Elam, Froggy Hernandez and others, as well as Mary Campos and our nearly 1,000 employees, this El Tiempo would not have been possible!” Laurenzo exclaimed, “Our success is based on my grandmother’s philosophy, serve good food with a smile and treat customers like family!” The customer is always right! The sights, sounds, aromas, and the taste of great food will make your dining experience at El Tiempo Cantina worthwhile! Open 7 days a week; Sunday – Thursday 11 a.m. – 10 p.m. Friday and Saturday 11 a.m. – 11 p.m. COMING SOON – Sunday Brunch 9 a.m. – 1 p.m. (TBA). The time is now to dine at El Tiempo Cantina! Muchisimas gracias y buen apetito! Goza Cada Momento!